Wine has been produced for thousands of years, which makes it no small feat that its popularity is still on the rise. 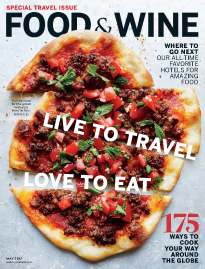 The F&W guide to wine puts everything you need to know in one place, whether you are interested in buying, tasting, pairing or learning about wines. If your goal is to better understand what you’re drinking, check out features like our Wine 101 series, which covers the history of wine regions and popular varietals, or our blog series, Dear Decantress, which helps you tackle the basics of tasting and talking about wine. Trying out new wines is one of the joys of traveling, so the F&W editors have also curated lists of their favorite places to drink wine across the globe. These include top producer picks, so you can visit amazing wines at the source. What Do Wines Aged in Concrete, Clay and Glass Taste Like?